On July fourth, 1776, our founding fathers, including the likes of John Hancock, Thomas Jefferson, Benjamin Franklin, and even our future first president, George Washington, gathered together, with one common goal in mind – freedom. They all signed their names on a special document, declaring their independence from King George III and Great Britain. 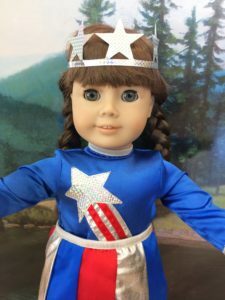 During that time, there lived a special young girl, created by Pleasant Rowland for her American Girls Collection (now American Girl). 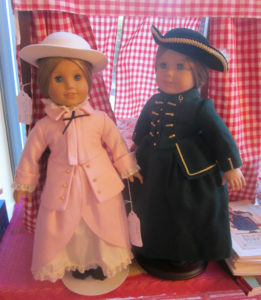 Her name was Felicity Merriman, and she was the eldest daughter of a shopkeeper, and a member of a family of Patriots. 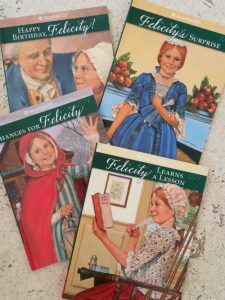 With her independent spirit, fierce determination and strong loyalty to her family and friendships, Felicity is only the first of many American Girl characters, who would grow up and do great things for the people and the country they love. There would be Kirsten Larson, who would sail across the sea from Sweden and brave through trials and tribulations to start a whole new life on the frontier. There would be Addy Walker, who would escape slavery in the midst of the Civil War and reunite her family, this time as free people. There would be Samantha Parkington, who would defy the unwritten laws of Victorian society and reach out to make the world better, not just for privileged children like herself, but for the poor working children as well. Rebecca Rubin would use her dramatic flair to take center stage during a time of great unrest and speak up against the dangers of factory work in the early twentieth century. 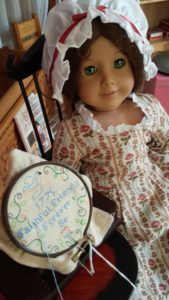 Kit Kittredge would overcome her hardships and make headlines to foster hope during the Great Depression. Molly McIntire would keep smiling as she did her part to help the U.S.A. retrieve victory in World War II. Many more girls, like Melody, Julie, Caroline, Maryellen, Marie-Grace and Cecile,would go on to do wonderful things for their friends, family, fellow citizens, people in need…and the extraordinary land of opportunity named the United States of America. 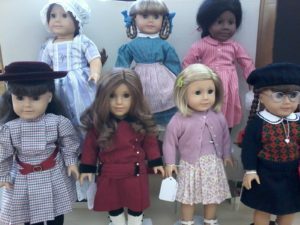 These exceptional young ladies and all of their accomplishments and histories can be found right here, at the Girl AGain boutique, celebrating the American Girl. Come get the full experience of these special ladies at Girl AGain. 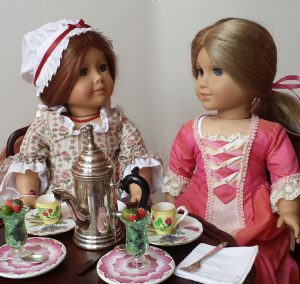 Buy one of the dolls, or buy a classic outfit tailored in the style of their era, with skirts or ruffles or petticoats, or some traditional furniture from their time. Purchase one of their books or movies, and dive into the past to share adventures with them. If you can’t come to the store, call us at 914-358-1460 or check our our Girl AGain e-Shop. Most importantly, celebrate these girls and their rich history by having a happy Fourth of July! 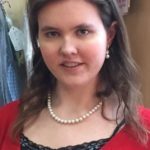 Blog post by Yes She Can trainee, Colleen O.